Delta Community Credit Union is headquartered in Atlanta, Georgia but operates in Kentucky, Texas, and Utah also. With over 365,000 members, 1,000+ employees and $5.5 billion in assets, the credit union is listed in the top 25 nationally. It is also a member of CO-OP, a nationwide co-operative that permits its members to bank at over 3,500 credit unions and over 5,000 branches across the United States. As you might expect from a leading financial services company, Delta Community Credit Union offers a comprehensive range of financial offerings, including checking accounts, savings accounts, certificates of deposit, credit cards, loans, insurance, retirement planning and even mobile banking. It has earned a reputation for providing a simple experience where your checking account won’t be nickel-and-dimed with fees and interest rates on savings are competitive. 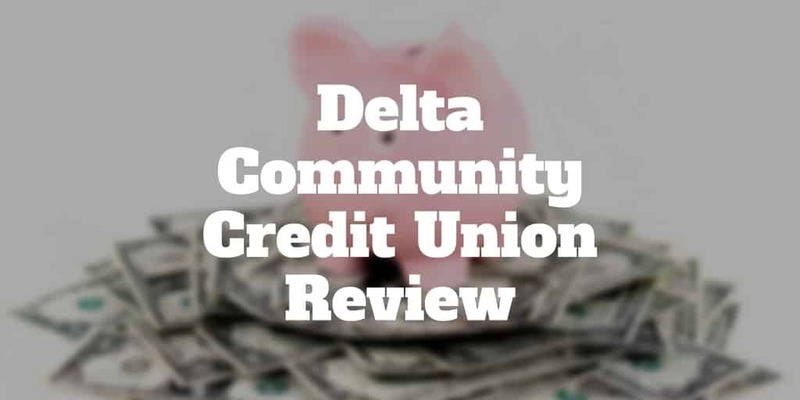 Is Delta Community Credit Union Right For You? Delta Community Credit Union has grown to become Georgia’s largest credit union by delivering a wide range of services with minimal fees. Delta Community Credit Union is designed for fee-conscious members who don’t want to be nickeled and dimed. Whether you are looking for a personal checking account, Visa® Debit Cards, mobile and online banking, or automatic overdraft protection on your savings, Delta Community Credit Union provides them all free of charge. The credit union was started as a non-profit by eight former Delta Airlines employees in 1940 with just $45. The same guiding principle of delivering value without penny-pinching members has continued to this day. You won’t be surprised with minimum balance requirements, hidden fees, or other money-making gimmicks. But you will be charged a steep penalty fee for foreign returned deposits, balancing checking statements and non-sufficient funds. Delta Community Credit Union charges no monthly personal checking account fees, overdraft transfers fees from a savings account, or per check charges but you will pay for check printing, courtesy pay, and stop payments. Delta Community Credit Union mortgages span a wide gamut of products for first time home buyers to those looking to buy plots of land. Whether you are a new home buyer or looking for a second mortgage, Delta Community Credit Union offers a wide variety of home financing products. Delta Community Credit Union credit cards are attractive for balance transfers and offer credit lines from $500 to $50,000. Delta Community Credit Union credit cards come with no annual fee, credit lines up to $50,000, and a 1.5% cash rebate when you transfer high rate loan balances to your Delta Community Visa Platinum Rewards card. Plus, you won’t get stung with a balance transfer fee. The free rewards points program comes with a standard reward offer: spend $1 to earn 1 point on eligible purchases as well as a bonus rewards program whereby you can earn 2x and 3x rewards quarterly in select categories. You can redeem your points for cash back, gift cards, travel and merchandise. No blackout dates exist, so you don’t have to worry about point redemptions at popular times of the year. The credit card program is verified by Visa and comes with fraud protection and smart-chip technology for security. Delta Community Credit Union new and used car loans range from 1.88% to 14.73%. The standard car loan rates are listed below but you can enjoy an extra 0.25% off financing when you purchase through Carvana. Delta Community Credit Union mobile app allows you to pay bills, credit cards, loans, and check account balances. The Delta Community Credit Union app is available to both iPhone and Android users. You can view balances on your phone for checking accounts, savings accounts, credit cards, money market accounts, and loan balances. It is also possible to make secure mobile deposits and transfer funds to and from your credit union accounts. You can make bill payments, and pay your Delta Community Visa credit card, personal loan, car loan, and even home loan liabilities through the app. If you are looking for Delta Community Credit Union bank locations to find an ATM that won’t hit you with a surcharge fee, visit this branch locator link. Delta Community Credit Union certificates of deposit range from 0.55% to 1.65% APY. Delta Community Credit Union CD rates have term lengths that range from 6 months to 5 years. ✅ Auto Loan Discount: When you purchase a car through Carvana Delta Community, you receive a 0.25% discount on financing. ❌ Out-of-network ATM Fee: If you visit an ATM that is out of network, you may be hit with fees. ✅ Few Fees: No monthly fees, overdraft charges, or per check charges are applied to checking accounts but you will be stung with a high fee for failing to have sufficient funds. ❌ Savings Rate: In a low interest rate environment, you won’t get rich off the savings rate offered in either savings accounts or certificates of deposit but the rates are in line with those offered by competitors. ✅ Cash Rewards Credit Card: The Delta Community Visa® Credit Card offers cash rewards plus no blackout dates, and imposes no annual fee. ❌ Geographic Coverage: Delta Community Credit Union operates only in Georgia, Utah, Texas & Kentucky, though members have access at over 5,000 locations nationally via the CO-OP program. ✅ CD Rates: Certificates of deposit rates are competitive and increase gradually when you commit to longer terms up to 5 years. ✅ Mobile App: Both iOS and Android compatible mobile devices can be used to pay bills, check balances, and even pay off loans. ✅ Extensive Home Loan Options: First-time buyers, home equity loan borrowers, and buyers of plots of land will all find financing solutions at Delta Community Credit Union. Delta Community Credit Union makes available to residents of Georgia, Texas, Utah and Kentucky a wide range of financial services, including home loans, auto loans, credit cards, insurance, checking, and savings accounts. As the leading credit union in Georgia, fees are low and rates are competitive, though not stellar. You can access checking and savings accounts online or via mobile phone, whether iPhone or Android, pay bills, and pay off personal, auto or home loans. Members have access to over 5,000 branches across the country through the CO-OP program of which Delta is a member and can speak with customer support 24 hours a day, seven days a week. The bottom line is you are looking for a banking institution that won’t nickel and dime you, and has a long history of serving its members well, and which is ranked among the top 25 credit unions nationally, you could travel a long way before doing better than Delta Community Credit Union.